Home Education Does a Startup Need a Multilingual Website? Why do startups need a multilingual website? It’s easy to answer that question if you think about the things that most startups generally require to expand and thrive. Startups usually need to attract investors, employees, and most of all, customers. In today’s global economy, it’s likely that these various groups of people will come from different parts of the globe. Learn how your startup can benefit from website localization and translation. At the same time, you should know that modern tools make this task much easier and cheaper than you probably think it is. Why Should Your Startup Invest in a Multilingual Website? As the name implies, a basic multi-lingual website can deliver pages in the native languages of people who view the content. Even better, a platform like Translite will automatically base language, website hosting server, and many other localization features based upon the country of the online visitor. Some of these other features include currency conversion and graphics localization. Does Everybody on the Internet Speak English? It’s easy for people in most English-speaking countries to assume that everybody speaks English because search engines and many sites will automatically deliver content in that language. 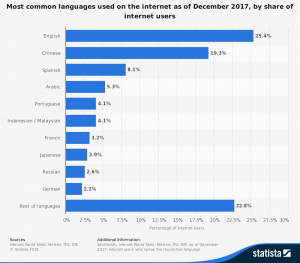 It’s true that a slight majority of web pages have English content, followed by Russian, German, Chinese, and Spanish. That list does not reflect the number of people who consider English or any other language as their primary tongue. If you cared to rank languages by popularity, your list should start with the 1.2 billion people who speak the Chinese language. Spanish, English, Hindi, Arabic, Russian, Japanese. German, French, and Korean, and Italian would follow. If your startup only chooses to publish in English or any other one language, you’re limiting your audience. How Does a Multi-Lingual Website Attract a Wider Audience to Startups? Some people do speak more than one language. Even so, surveys have found that most folks report much stronger confidence in and preference for content in their own first language. While some people will prefer to do business with an organization that produces content in their native tongue, others won’t do business at all if they can’t find pages in their own languages. That’s true, even with people who speak other languages. Having pages in your customer’s native language will help increase confidence in your business while reducing the chance of misunderstandings. Most likely, people in countries that speak other languages won’t even find your pages at all if you don’t put any effort into localization. If you speak English, you mostly see pages in English and probably, from organizations in your own country. Search engines deliver content based on location, language, and search history to you, and that’s what they do for people in other countries as well. Localizing your pages through local web servers, native languages, and even another medium gives you enhanced multilingual website SEO benefits. You can make it easy for international customers to find you, and then once they do, you can display content that will appeal to them in their own language. Which Startup Businesses Benefit the Most From Multi-Lingual Website SEO? 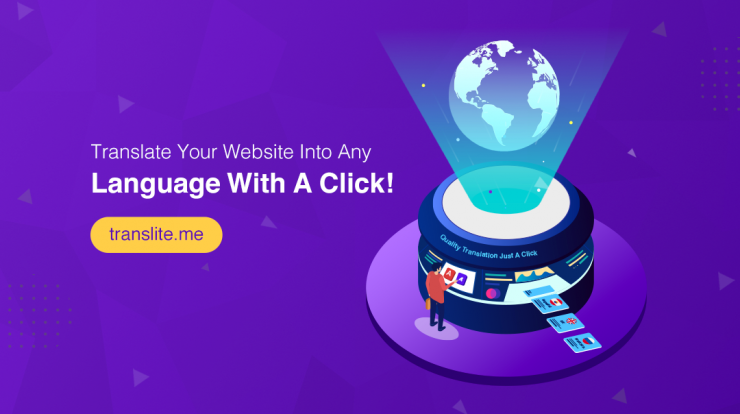 It’s hard to imagine a startup business that would not benefit from an easy way to deliver a truly localized and multi-lingual website experience to their audience. At the same time, other startups may absolutely to create a localized site in order to retain any sort of competitive advantage at all. • Travel: Almost every travel and hospitality business will benefit by attracting foreign guests. Customers will look online for transportation, lodging, meals, entertainment, and other travel services. • Education: Colleges and private high schools benefit from international students, and online classes can reach a wider audience. • Online applications: Increasingly, businesses are turning to hosted applications to support their processes. SaaS developers can reach a broader audience with localization of their marketing websites and their applications. • Retail: Even small local stores may profit from opening up their pool of potential customers online. Affordable tools make it simple for retail stores to translate pages and convert currencies without additional effort. • Nonprofits: These days, most nonprofits rely upon online donations to meet their goals. Many of these organizations support causes with a global appeal, so it’s important to have a multi-lingual website. • Marketing: Having access to affordable, full-service translation and localization tools can give marketing agencies a competitive edge when they want to attract clients. These agencies can offer multilingual website SEO and other services to their own clients. Can Your Startup Afford a Multi-Lingual Website? When you think about true website localization, you may visualize a complex, expensive project. Translating text on pages into multiple languages sounds difficult enough, but it is only the first step toward true localization. You should also consider currency conversions, distributed web hosts, graphics localization, and even interpreting the results from apps. The hosted services at Translite offer you a full-service, affordable way to gain all of these benefits. You won’t need to hire your own translators, buy hardware, or manually calculate currency exchange rates. • In fact, you can enjoy automatic text translation, currency conversions, and distributed hosting without writing a line of code or going to any effort at all when you add or update new content. • With the editing tools, you can even choose to swap out other types of media for people in different regions and countries. APIs and an SDK will make it simple to even translate apps, so customers or employees all over the world can use them. • If you choose, you can access a wide variety of vetted translators for manual translations when it’s critical to preserve the exact meaning of content on a page. Really, you should not ask if you can afford to localize your site; you should ask if you can afford to lose the benefits of doing so. For more information about the most progressive tools to create a multi-lingual website for your startup, speak with us here today. If you prefer, you can try out the features of one-click website translation right away for free. Just type in your site URL and a language to try to get started.